I was amazed by the sea of stars that appeared after I uploaded this image from my camera. 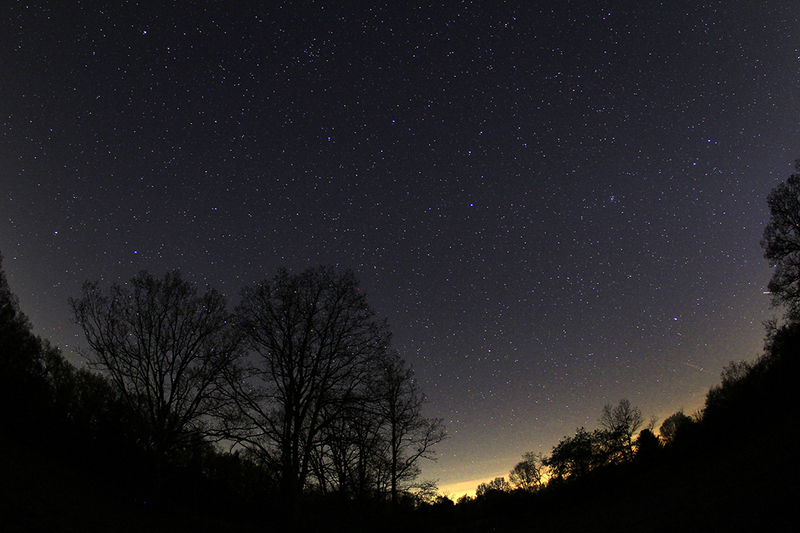 I used a Sigma 10 mm Fisheye lens at F-2.8 ISO 800 for a 30 second exposure in Allegan County, Michigan. The conditions were perfect with a clear sky with no wind that evening.